Casual Mature Man Seated At Home Office Space Looking At Business Magazine With A Happy Expression On His Face. Royalty Free Fotografie A Reklamní Fotografie. Image 49223921. Reklamní fotografie - Casual mature man seated at home office space looking at business magazine with a happy expression on his face. 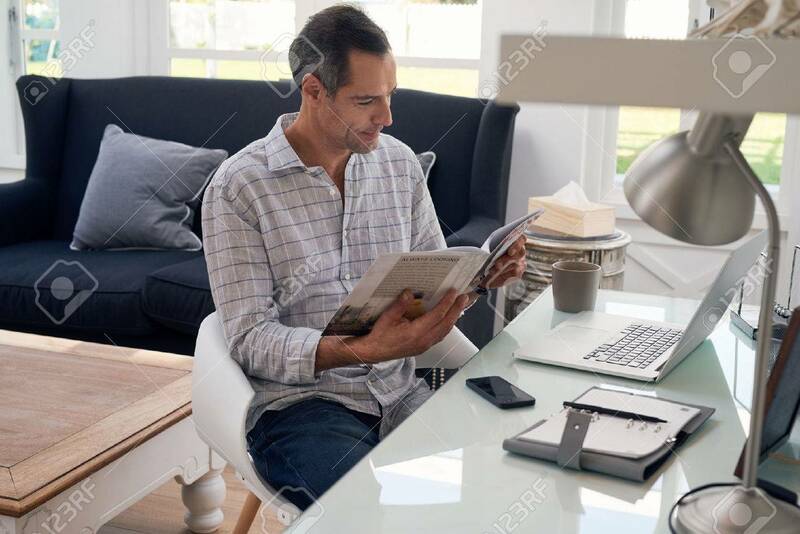 Casual mature man seated at home office space looking at business magazine with a happy expression on his face.